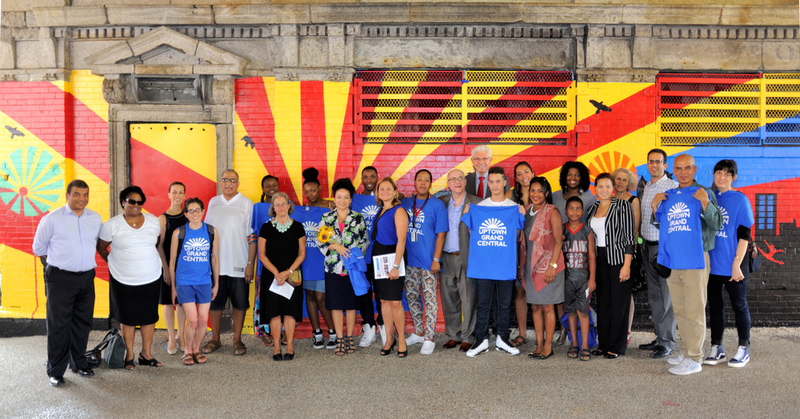 In September 2015, youth artists from Creative Art Works and Teaching Artist Gera Lozano created a new muural titled "Harlem Sunrise" on the wall of the former comfort station on the south side of the plaza. The mural represents hope for prosperity and the vitality of the diverse peoples who pass through the 125th Street crossroads. "Harlem Encore" represents triumph over adversity. "The work celebrates Harlem's past achievements and bright future," it is said. Read more about "Harlem Encore" here.